The nose starts off with a delicate sherry sweetness, toffee and fudge, accompanied by gentle peat smoke underneath. Hints of smoked ham and subtle herbal notes in the back. Deliciously very sweet with sherry, caramel and juicy oranges, followed by lingering nutty flavours. Warming spiciness arrives with pepper, oak, nutmeg and a hint of aniseed. Slightly bitter orange peel, dry cocoa and a touch of peat towards the finish. The finish is medium long, subtle sweet and warming with pepper, dry oak and a lingering nuttiness. Gentle peat smoke with a touch of sour grapes on the tail. Water significantly tames the lovely sweetness and sherry flavours on the nose while oak, spice and peat smoke are coming to the fore. 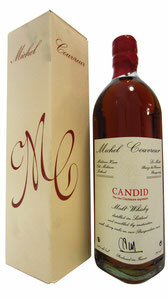 Stays sweet and fruity on the palate with sherry and lots of nutty flavours. Subtle more warming spice and prickling oak towards the finish. The finish shows medium length with creamy notes of sweet caramel, spice, peat and a touch of walnuts. A powerful and rich malt whisky significantly influenced by the sherry casks. Nice balance of sweetness, spiciness, dry nutty flavours and gentle peat smoke. A well-structured dram with character and delicacy. Worth exploring, not only for the sherry aficionado!